The Pats won't trade Gronk...right? Over the past few days, rumors have been swirling about whether or not the Patriots will trade Rob Gronkowski. Apparently, Bill Belichick is growing more comfortable with dealing the star tight end the longer he waits to make a firm decision on playing in 2018. On the surface, trading an All-World tight end at the peak of his powers seems debatable at best and boneheaded at worst. 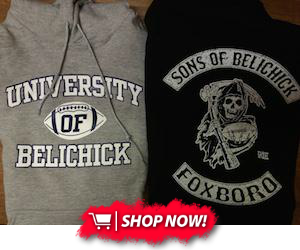 But looking into it some more, a trade (for the right price) would be the ultimate Belichick move. So while New England probably won't trade Gronkowski, there are some more factors here worth considering. First, Gronkowski's age and injury history would make him a peak Belichick trade target if he weren't so insanely good. Gronk is coming up on 30, and has battled back, elbow, and knee injuries (among others) for nearly his entire career. His physicality has been one of his signature traits since he was drafted. But it also makes it hard to expect him to play for many more years, even if he does re-up with the Pats. Second, Gronk is on an extremely cheap deal for a player of his caliber. His base salary this year is just $8 million (with a cap hit of roughly $10.9 million). When that deal expires in 2020, he'll certainly look to negotiate a raise--one the Pats might not be able to afford. That means two things: first and foremost, his deal makes him more attractive to potential trade partners who want him for the short term. And second, trading Gronkowski away now (potentially for a first-round pick and more) could help return some value immediately and insure New England against a possible departure in 2020. Finally, this draft does offer some opportunities to reload at tight end. Penn State's Mike Gesicki, for example, has drawn first-round grades from many evaluators based on his unbelievable athleticism and receiving skills. 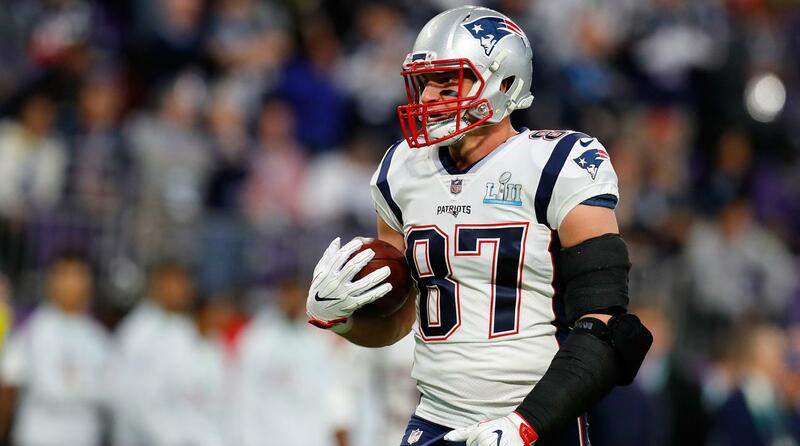 Trading Gronkowski for picks and using one of the top ones on his replacement would almost definitely be unpopular, but it might allow the Pats to swap out an aging, injury-prone star for a younger and more durable one. The bottom line here is that the Patriots probably won't trade Gronk, and for very good reason--he's the best tight end to ever play in the NFL, and despite his age and injuries he's still an absurdly dominant force when he's on the field. If he makes a firm, 100% commitment to the Pats tomorrow and works out the apparent tension with Bill Belichick (as ESPN has insinuated he might), this whole article will be useless. But as of now, there's still plenty speculation about a trade. And let's face it, trading Gronk in this situation might just be the most Beichickian move ever.